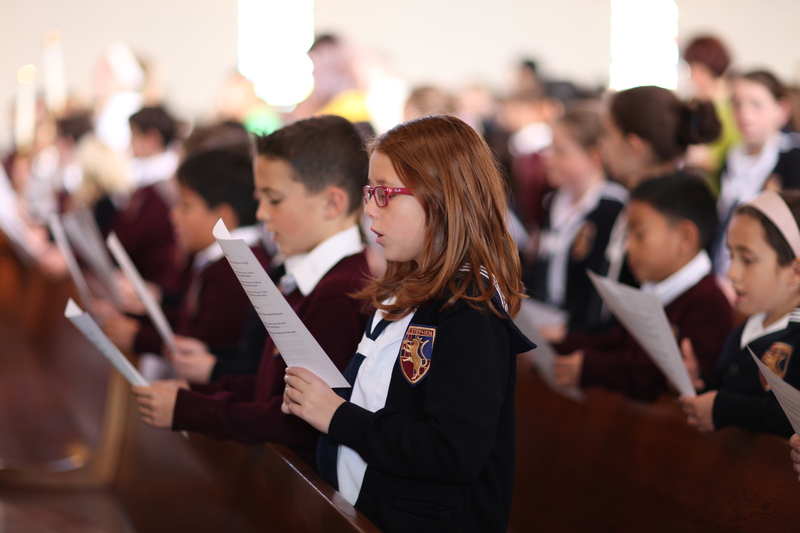 ​​At Saint Stephen School, we base our curriculum on the Archdiocesan Guidelines, California State Standards, and our Schoolwide Learning Expectations. Recognizing the value of additional support staff to enhance education, we have two full-time teachers in Kindergarten, full-time aides in Kindergarten through SIxth Grade, and part-time aides Seventh and Eighth Grade. For all our students, we provide specialized teachers in technology, Spanish, physical education, and music. We have dedicated Fifth through Eighth Grade Math and English teachers , small group math classes, and committed after-school teacher support in technology and math. Six teachers, departmentalized by their areas of expertise, teach our fifth, sixth, seventh and eighth graders. Our Learning Specialist collaborates with our classroom teachers to provide the necessary accommodations for those students who learn differently. Understanding that our students represent a wide range of learning profiles, our teachers and learning specialists develop key structures and methods for supporting student learning across the range of learners. Our innovative K-3 Reading curriculum- Incorporating both social studies and science into the reading curriculum improves our primary students’ reading comprehension and vocabulary. Our interactive 4th and 5th grade Science textbooks- Practical experiments and relatable language enables our students to grasp and apply complex science concepts. Our engaging and challenging science program for 6th, 7th and 8th Grade- Our junior high students can connect scientific principles, process and evaluate scientific information, draw conclusions, and present confidently their findings orally and in writing. Our Art in Action Program- Students learn art techniques, history and appreciation through this comprehensive, sequential program that provides a rich, creative, hands-on curriculum. We integrate Catholic identity and faith formation into all areas of our curriculum. Our teachers model Catholic values and provide our students with a safe, comfortable, and bully-free classroom environment. Embracing our School-wide Learning Expectations, graduates of Saint Stephen School matriculate into the high schools of their choice with poise, empathy and integrity.